Hello to all! We will be hosting four Women Build groups this week! * We will be partnering with groups from Greylock Federal Credit Union, Bentley Brook, ReAct, and Junior League. On June 5th, CBHFH had the opportunity to partner with Berkshire Bank for their Xtraordinary Day of Service where we served with 200 volunteers who helped to reorganize and deep clean our ReStore and to pre-build panels for the three zero-energy ready duplexes we will building on Gordon-Deming streets in Pittsfield. It has been truly inspirational to see the incredible impact volunteers can have in just a few short hours as we watch safe, stable homes being built before our eyes. Last week teams from Senator Hinds' office, Team Women Bosses, and Cross Insurance Agency, worked through the heat, bugs, and rain to cut stair stringers for the second floor stairs, install second floor joists, and install sub-floor in the future home of Courtney Mcardle and her two children. 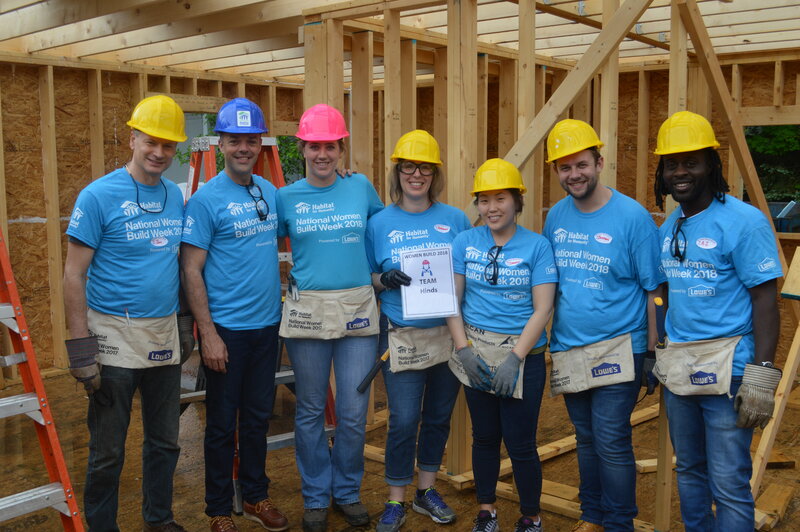 On June 5th, Central Berkshire Habitat for Humanity had the opportunity to partner with Berkshire Bank for their nationwide campaign; Berkshire Bank Xtraordinary Day of Service. 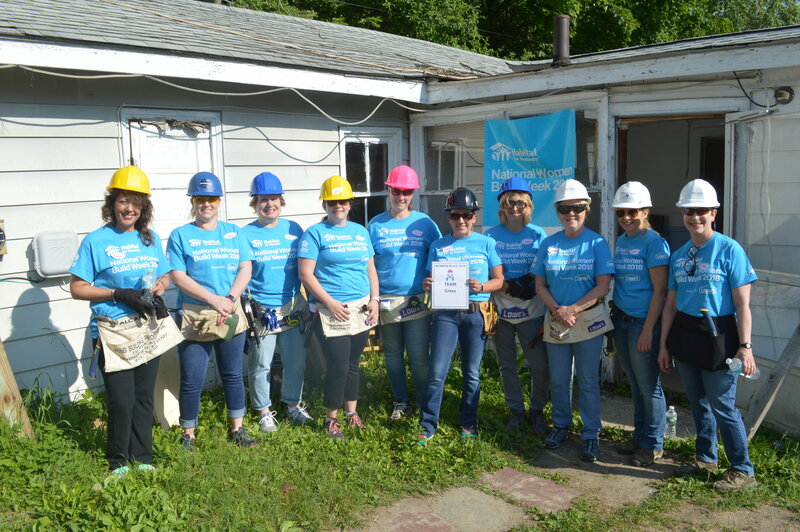 Through this partnership, Central Berkshire Habitat for Humanity received a grant in the amount of $55,000 from the Berkshire Bank Foundation, to increase our affiliate's ability to build strength, stability and self-reliance through affordable homeownership. In addition to this grant, Berkshire Bank closed 26 local branches throughout Berkshire County so their employees could participate in multiple projects in the community. 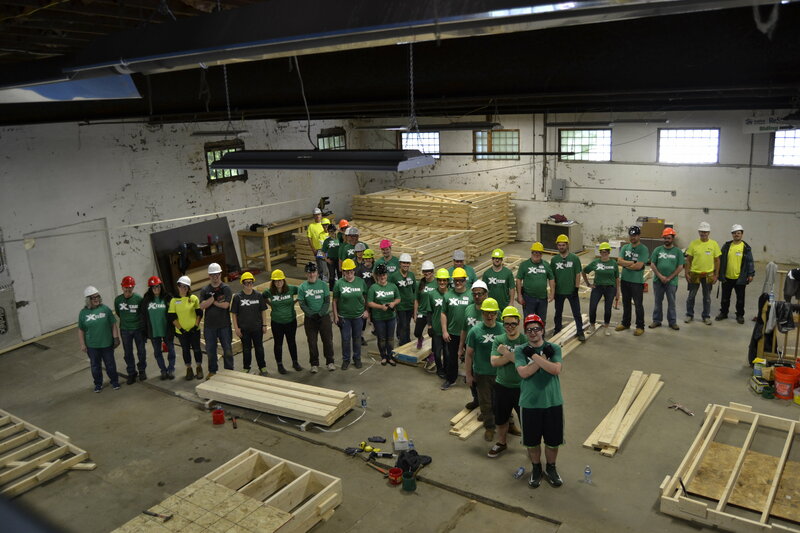 Over two hundred Berkshire Bank employees and Habitat volunteers built panels for our future 2-3 unit homes in the Gordon-Deming Village and re-organized/cleaned our ReStore. 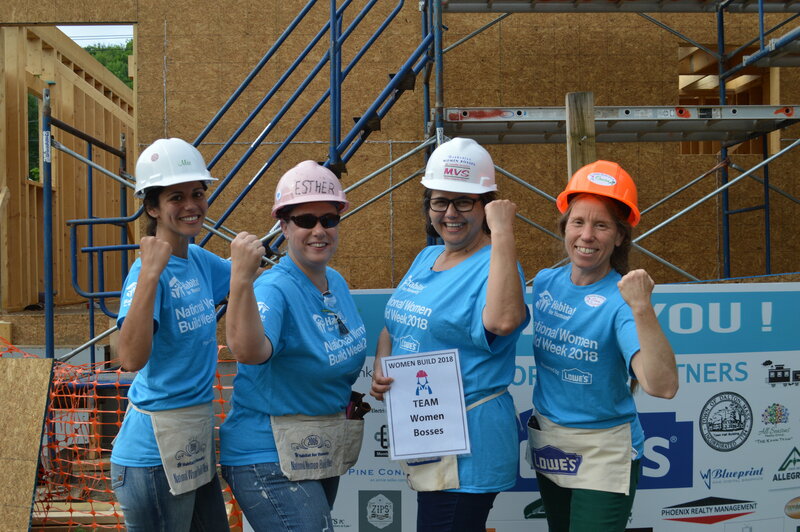 Everyone at Habitat would like to express our great thanks to everyone who participated with us in this project. This most recent panel build is the largest volunteer event our affiliate has ever taken on. Thank you to each and every one of you. "Last week on 199 East Housatonic Street, we cut stair stringers for the second floor stairs, installed second floor joists, and installed sub-floor. 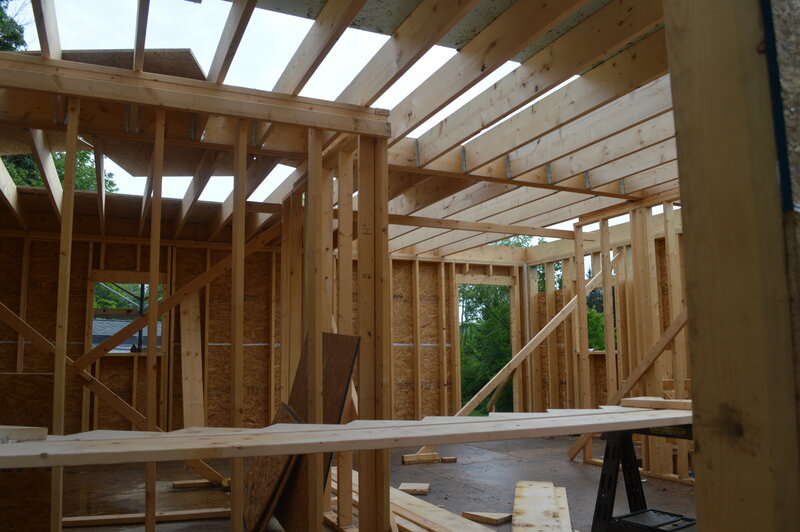 With the flooring under way, we were able to continue with the exterior sheathing of the walls". the short story of Today. "Implosions (“the use of explosives to bring about the gravitational collapse of a building or structure). Implosions account for 1% of all demolition work".